A heart attack, also called a myocardial infarction, occurs when vessels that supply oxygenated blood to the heart become blocked. The part of the heart muscle starved for oxygen may die or become permanently damaged. PET/CT image processing. 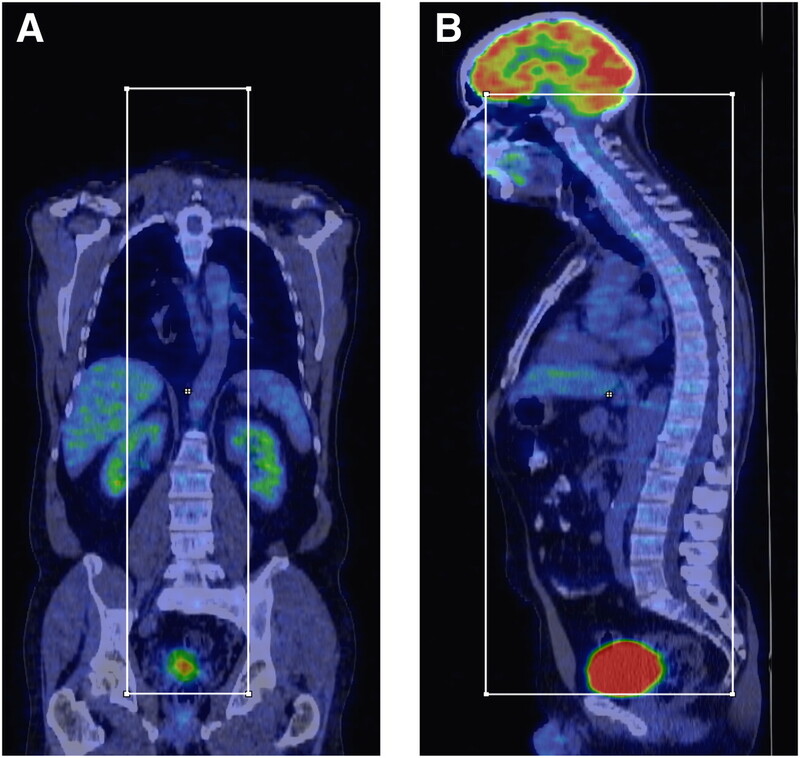 Example of definition of bounding box used for segmentation of CT data: coronal 18F-FDG PET/CT image (A) and corresponding sagittal PET/CT image (B). Most heart attacks are caused by a blood clot that forms a blockage in the coronary arteries. Blood clots are often the result of coronary artery disease (CAD), also called atherosclerosis, in which hardened fat deposits called plaques build up inside blood vessels. The plaque may cause fissures, or tiny tears, causing blood clots to form. A piece of plaque may also break loose and lodge in a small blood vessel, blocking blood flow. How does molecular imaging help people who have experienced a heart attack? Following a heart attack, heart function is assessed using either echocardiography or nuclear imaging. There are many new and emerging molecular imaging technologies that may help patients with heart disease. In addition to using myocardial perfusion imaging and nuclear functional studies, physicians are using new radiotracers such as I-123-metaiodobenzylguanidine (MIBG) with SPECT and carbon-11-meta-hydroxyephedrine or carbon-11-mHED with PET to assess the potential for sudden cardiac death and other cardiac events in patients who have suffered a heart attack or who have chronic heart failure.